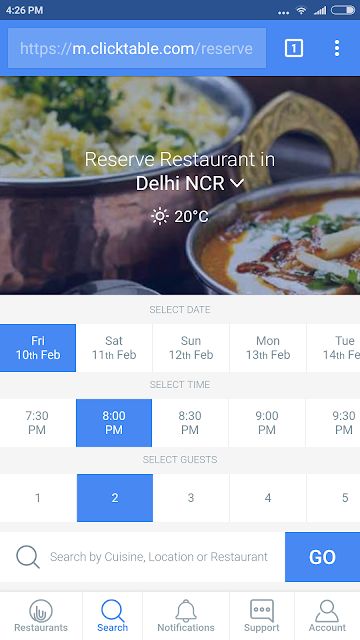 10 February, New Delhi: Clicktable, debuts in online restaurant reservation platform in India. 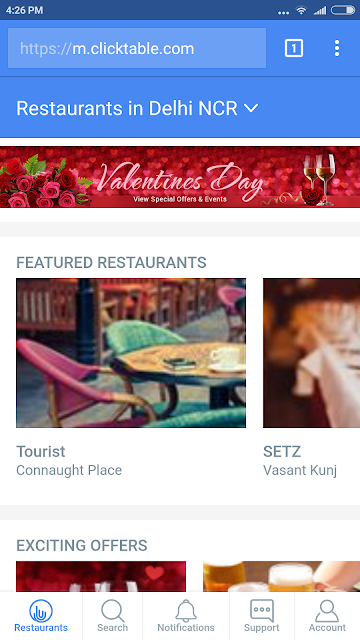 It is an intuitive platform that helps dinersavail amazing dining offers at best restaurants in the city. Moreover, the platform offers real-time reservation confirmation at many restaurants. The platform has currently been launched in Delhi NCR. There are over 600 restaurants, bars and lounges available on the platform. 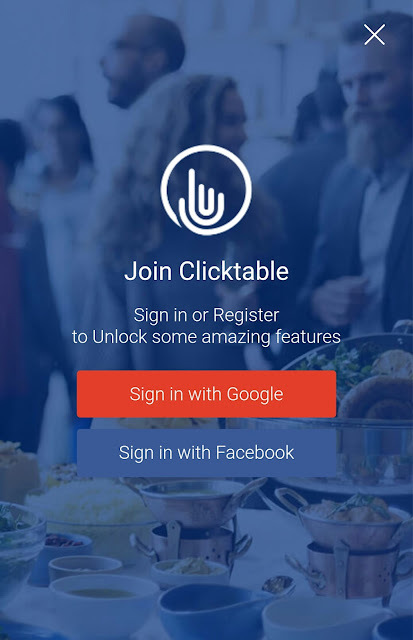 Clicktable helps diner tofind great restaurants and make reservations justat a click! Also, the diner has an option to avail amazing offers and deals offered by restaurants.The platform also has a B2B product which runs in the restaurants to streamline their front desk operations. It optimizes management of reservations, wait-lists, guest data, and table allocation.The consumer website and apps are integrated with the software that runs in the restaurant and hence, table availability is available in real-time, thereby facilitating instant confirmationsas opposed to the traditional call-center based model offered by other players. Clicktable is venture of the 33 year old, Varun Gupta, a computer engineer from Purdue University, USA and an MBA from Columbia University, New York. For the last 10 years, he has also been involved in his family business – Kent RO Systems Ltd, the largest water purifier brand in India. The idea clicked to him when he was repeatedly denied a reservation because of unavailability at an award-winning restaurant in South Delhi. Realizing that table availability should be more transparent with prospective diners and finding that nothing like such existed in the Indian market, he decided to do it himself. “The perpetual hunt of a foodie to dine at his desired restaurants is never ending. But nothing ruins a perfect dining experience than having to wait to relish one’s favorite food simply because the restaurant is full.”, says Varun Gupta. The restaurant industry has progressed at the healthy pace in terms of technological advancements over the last few years. However, one area that still requires some work is the front desk and customer relationship management. The three key elements – reservations, waitlists and guestbook are still being managed either manually or by old, irrelevant systems in today’s time. This often results in a poor customer experience even when the food and ambience is great. “It is here that, Clicktable comes to the rescue. We aim to streamline restaurant reservation process by removing the hassles of calling restaurants for availability and reservation confirmation.Another feature that makes Clicktable standout from other players is that only actual diners can review restaurants on Clicktable platform, preventing bloggers and spammers from creating artificial ratings” he added. The venture had earlier launched the B2B product in 2015. Seeing an immense value in the product, restaurants have responded positively since then. Many restaurants are using their B2B product - “Empower App”, for easing the front desk operations. Now,having considerable number of restaurants on board, Clicktable has ventured into the consumer space to tap on diners. On an aggressive expansion spree, the company is charting out its launch plans in major metros including Mumbai, Bangalore, Hyderabad and Pune.